One faced walls at 48’ tall and SCC concrete requirements. No linear direction of work. 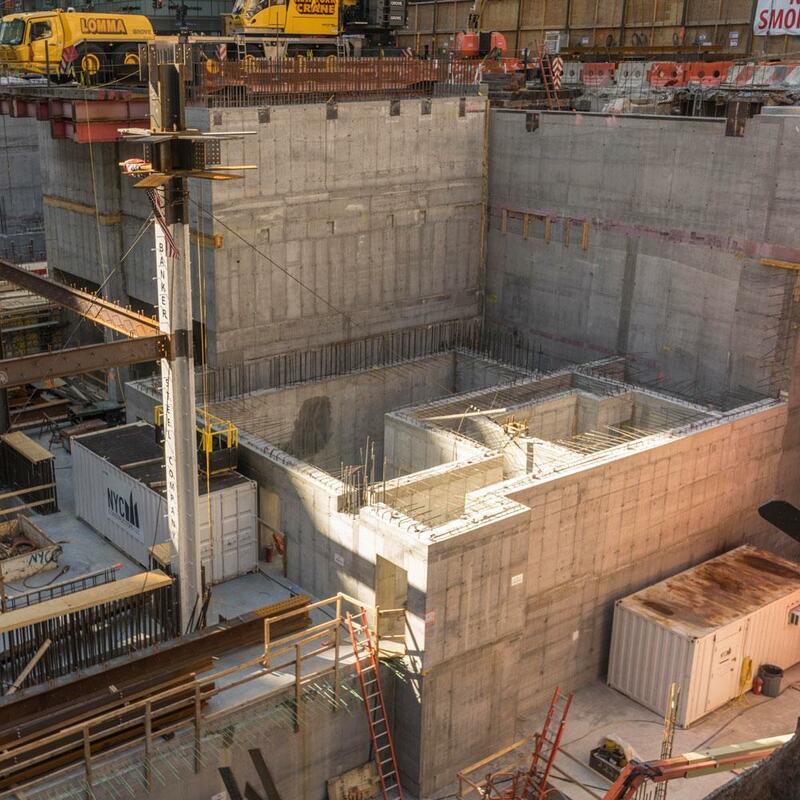 Formwork needed to move around project depending on concrete readiness. 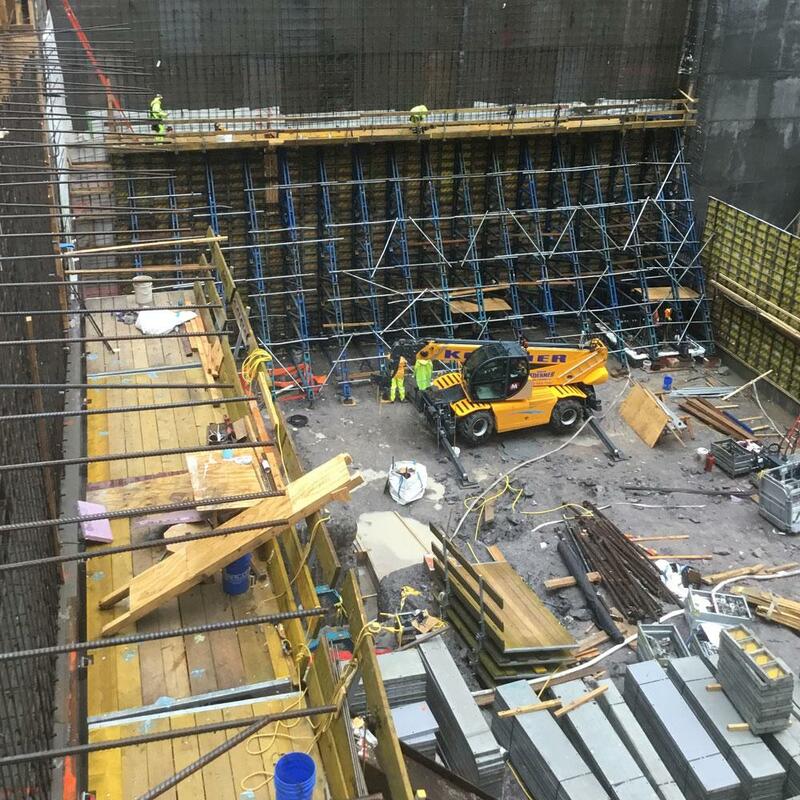 Framax Xlife with supporting construction frames and diagonal anchors enable the safe transfer of concreting forces. This technique is particularly useful in cases where it is not possible to tie timber-beam elements or framed formwork panels through the concrete. Modular system for easy reconfiguration and movement of ganged material from one section of the jobsite to another. Folding Platforms shipped in pre-assembled units. 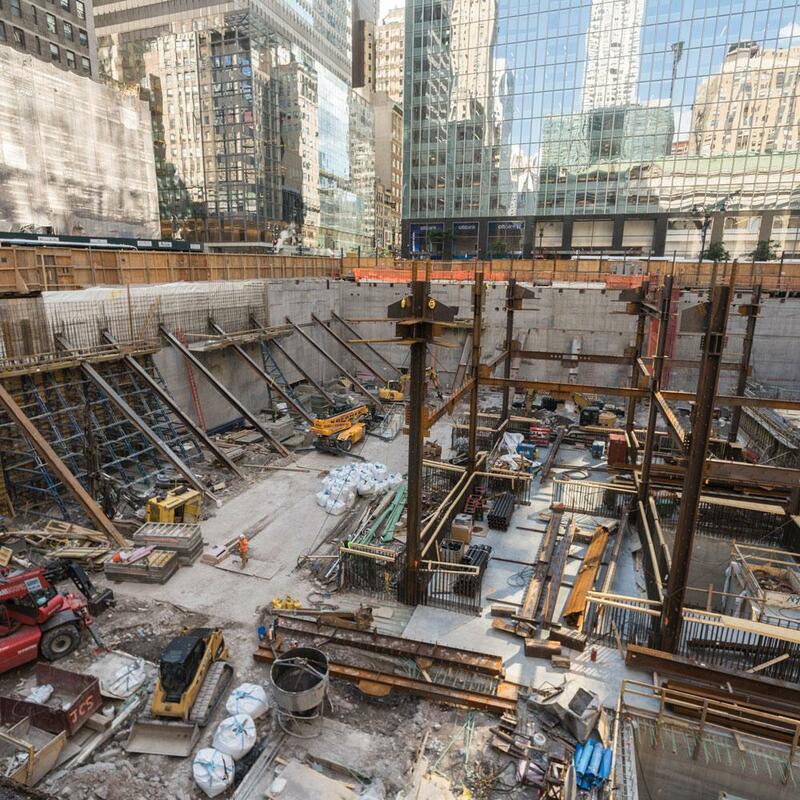 Thank you for your interest - One Vanderbilt. 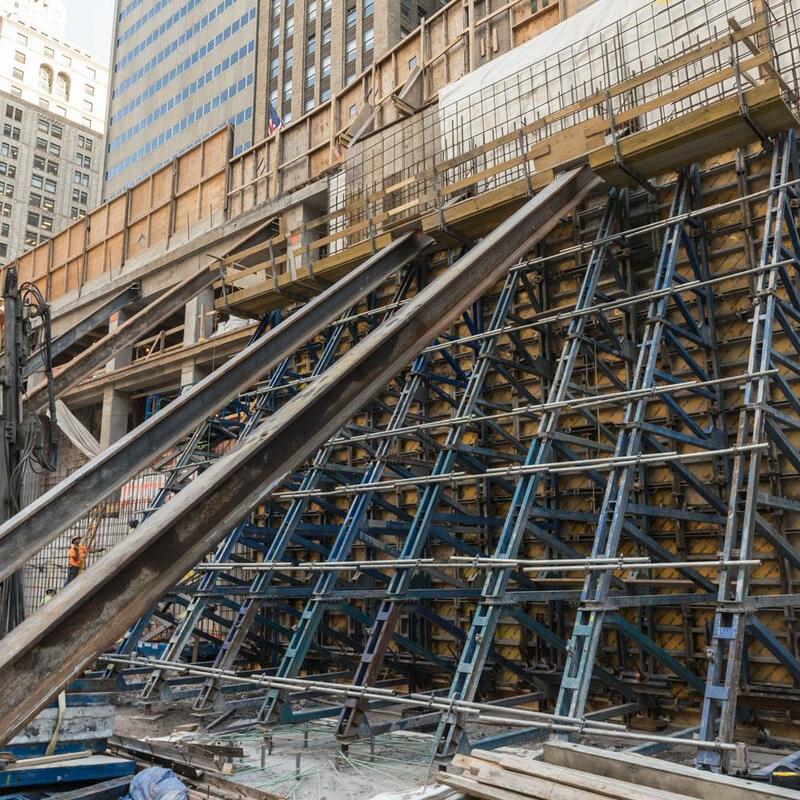 Thank you very much for your interest - One Vanderbilt.